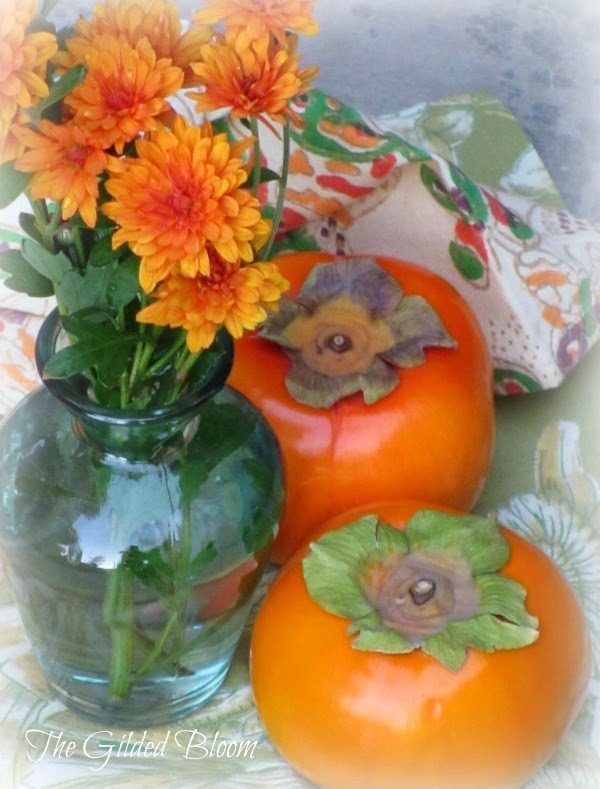 With October nearing its close, beautiful orange persimmons are now ripe on the trees and sold at our local farm stand. 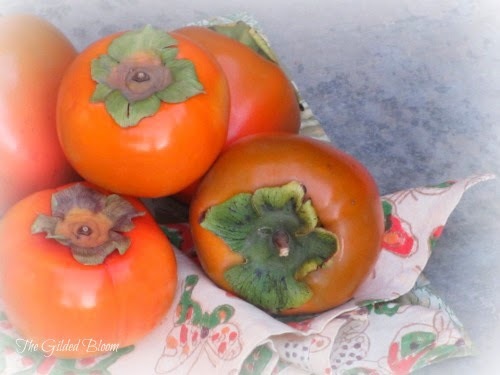 Since these are only available for a short time each year, I was happy to get a few to make persimmon bread. Of course, I took some photos to capture the vibrant autumnal orange fruit along with a few russet mums we still find growing in the garden. It has been many years since I have had this persimmon bread, but I remember loving the recipe as a child. Years ago we had a neighbor with a persimmon tree who every fall would make this bread to share. My mother recently discovered the recipe written in an old cookbook and passed it on to me. I hope you will enjoy it as much as I do. It is filled with fall flavor! Bake in two loaf pans at 350 degrees for about an hour.